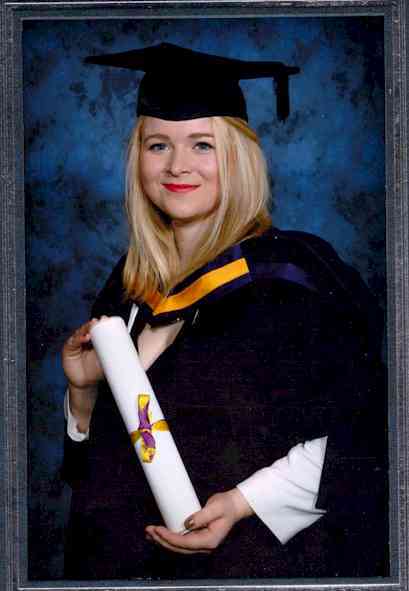 Alexandra Finlyson has recently been awarded a Master of Science in Pollution and Environmental Control from the University of Manchester. She has taken up a post in Derby working for “Clear Environmental”, working in the field of waste water modelling. She now lives in Lichfield with her boyfriend Nick Tree.